Give the gift of a Toronto Brewery Tour! 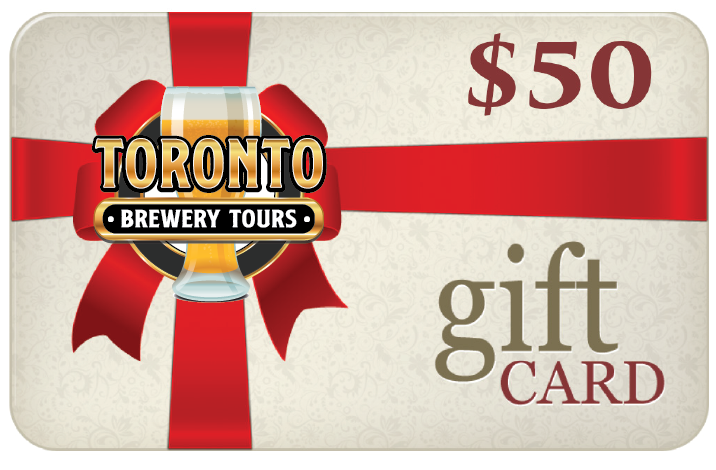 Give the recipient $50 toward their Toronto Brewery Tour ticket. Gift cards can be redeemed for any future brewery tour. Tour three breweries, sample over 20oz of craft beer at each stop, and tour the breweries. Discover the art and science of brewing craft beer.